Unexplained pain under right breast which is severe in intensity can be rather alarming. Most people think about breast cancer when such a pain develops. However, there are various other causes of pain in the region, and this is what we are going to elaborate on now. Before moving ahead, the first thing that you need to understand is that the region under the right breast comprises of numerous structures which include ribs, muscles, parts of the lung and upper abdomen organs. The rib cage which comprises of the ribs, cartilage, and sternum serves to provide protection to the organs in the chest. An injury to any of these structures such as a fracture or crush injury results in bruising and pain in the area. The pain may aggravate when you cough, sneeze or take deep breaths. Thus, it is important to get medical attention following such injuries so that complications can be prevented. This condition of inflammation of the lining of the lung and chest cavity can occur because of respiratory infections, trauma and toxic substance exposure among other things. It is characterized by chest pain which worsens with coughing, movement, and deep breathing. The patient also experiences coughing, shortness of breath and increased respiratory rate along with the pain. This refers to the inflammation of the cartilage which is attached to the ribs. It may occur due to trauma, infection, or strain injury. 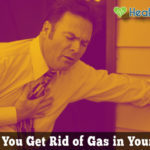 It is quite common and tends to lead to the development of chest pain which is aggravated by physical activity or coughing. 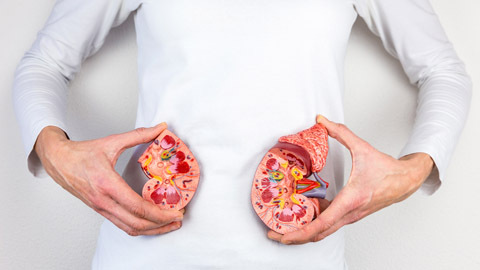 Large kidney stones can become lodged in the ureter or kidney which gives rise to a pain that is severe in intensity. It is the flank pain that patient experiences most commonly in this condition. 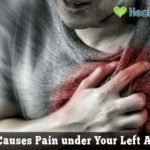 However, the sharp pain can also radiate to the rib cage which leads to the pain. The patient would also present with other complaints such as fever, nausea, vomiting, burning while urinating, and high frequency of urination among other things. The pancreas is located behind the stomach in the upper abdomen on the left side. Inflammation of the pancreas leads to the onset of pain in another part of the body and, thus, can be responsible for the sharp pain. The causes of pancreatitis include infection, duct blockage, alcohol abuse, and gallstones. The pain can also occur in areas including the back. The patient can also experience other symptoms such as fever, bloating, nausea and vomiting. This is not a very common condition. It occurs when a part of the stomach herniates through the hiatus opening in the diaphragm, opening into the chest cavity. A part of the esophagus can also be herniated in the condition. The patient experiences shortness of breath, chest pain, bloating, and heartburn in addition to the pain. The gallbladder is located under the liver. Formation of gallstones or infection of the sac can lead to the development of the sharp pain. The pain radiates to the back, and there are also complaints of fever, nausea, and vomiting that the patient faces. Physiological stress and emotional trauma can also give rise to pain under the right breast. Stress leads to an increase in heart rate while causing the muscles and nerves to tense up. Abdominal pain also results owing to stress. Stress leads to the disruption of the digestive system, which results in pain in the abdominal region. It is quite common for people to complain of pain or discomfort when they suffer an anxiety attack. It can be quite a frightening experience and requires medical attention at the earliest. Panic attacks lead to palpitations, shivering and discomfort among other things. The muscles and nerves are tightened which leads to the development of painful spasms below the ribs. Furthermore, the increase in heart rate along with the high blood pressure contributes to enhancing the strain put on the heart, thereby leading to pain under the right breast. This is something which is of utmost importance. Timely medical intervention can save you from a lot of problems and can make it certain that no further complications develop. If you have just started exercising and the pain has begun but is stable with no signs of worsening, there is no reason to consult a doctor since this could just be temporary. You can acquire relief by resting and having painkillers in this situation. However, in case, you have a recent history of trauma or respiratory infection, you need to go to a doctor at the earliest. This is because the pain could be a sign that the upper abdomen organs have been affected. Proper management would be required in this case. If the pain is not subsiding within a week and is increasing in severity, you should see a doctor. The same is true if you feel a lump in the region. Those with a family history of breast cancer should also not delay getting a consultation from a doctor. When you go see a doctor, you will be asked some questions, and a thorough examination will then be performed so that the origin of the pain can be identified. The doctor will first have to determine whether the pain has something to do with your breast or there is some other source for it. 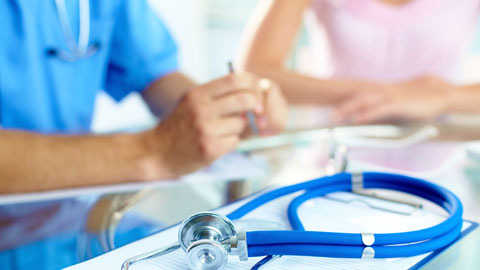 Diagnostic tests are conducted based on the findings of this examination. All in all, it needs to be ensured that the pain is not ignored to the extent that the matter gets worse and out of realms of treatment. Timely medical attention can change the outcome of your treatment, so it is important that you seek the assistance of a doctor at the right time when you feel the sharp pain under right breast.